Hello, My Name is Nanook! 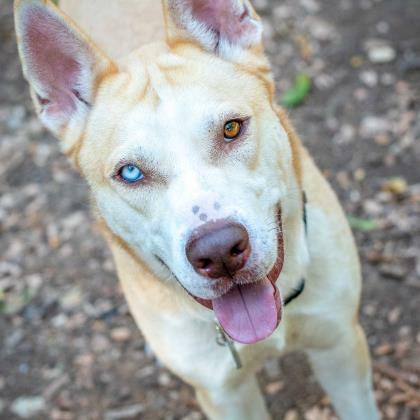 Nanook is a handsome boy with stunning eyes in blue and brown. He has a loving disposition and is eager to please if you offer a treat or two to motivate him. 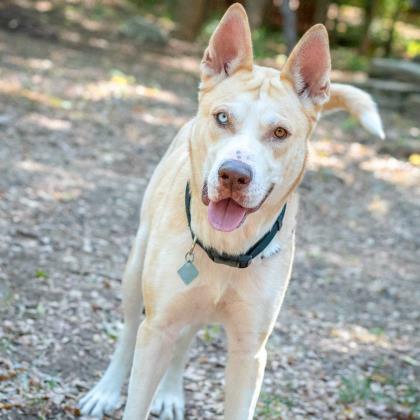 Nanook is looking for a warmhearted family with older children, and will do best as his family's only canine companion. 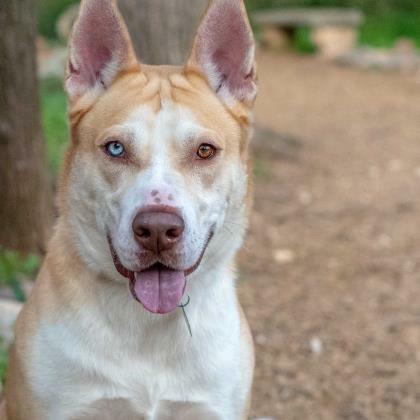 He is equal parts athletic and affectionate, meaning he will gladly accompany you on long walks or runs, and just as happily relax and unwind with some loving cuddles. Nanook is a participant in Operation Kindness' Sleepover Program giving potential adopters a couple nights with him before completing the adoption process. For more information, contact 972-418-7297.